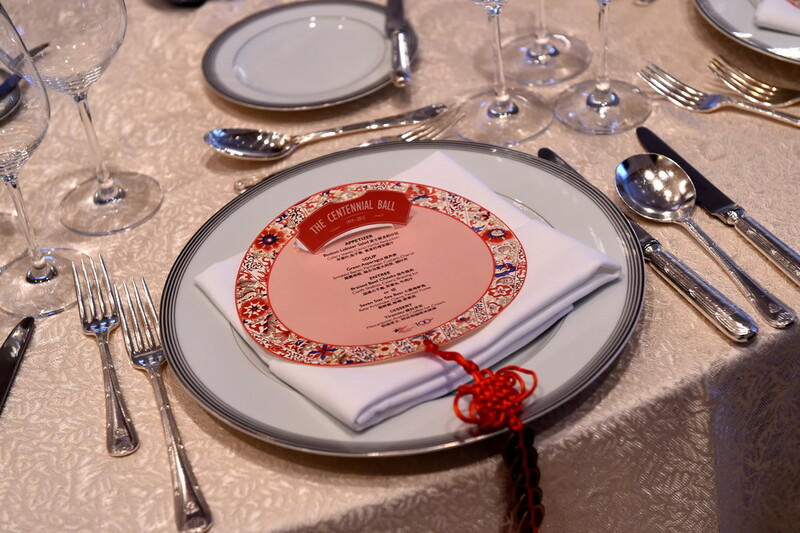 For the second year in a row, KTGA was engaged to plan, design and execute the annual American Chamber of Commerce’s (Amcham) charity gala in Shanghai’s Peninsula Hotel. Marking AmCham’s 100-year anniversary in Shanghai, the theme for this event was "The Centennial Ball”. KTGA crafted a subtle design bringing together elements of time travel, exploration, historic maps, and compasses using ephemeral watercolor themed graphics. KTGA prepared the space with theatrical scenography aiming to inspire guests and transport them on a journey. Guests entered the space via an old Shanghai lane and were then met by a 20m-long image of Shanghai’s iconic river front, the Bund. Meanwhile, actors greeted guests and interacted with each other to bring to life the atmosphere of old Shanghai. A photo booth was constructed where guests had the opportunity to photograph themselves inside a traditional Shanghai lane house. All the graphics were custom made and historically consistent while detailed props and trained actors added a fun, theatrical element to the evening. KTGA also decorated the hotel ballroom with pastel colors and real cherry blossoms placed in large-sized vintage porcelain vases. To give guests the impression of traveling through time, our performances contained various era’s musical, fashion and dancing styles from 1915 to 2015. An iconic image of the Bund with watercolor interventions. 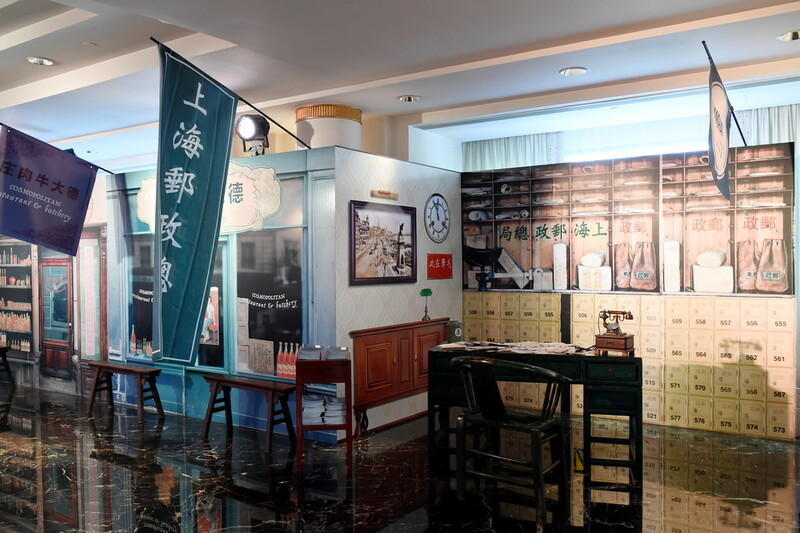 Real size old Shanghai shops created just for this event with real advertisement graphics from that time. 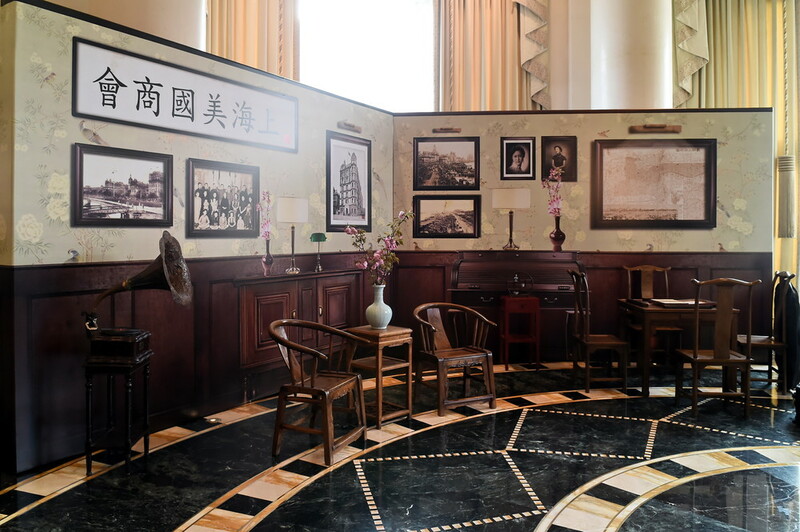 Photo Booth done in an old Shanghai Style.